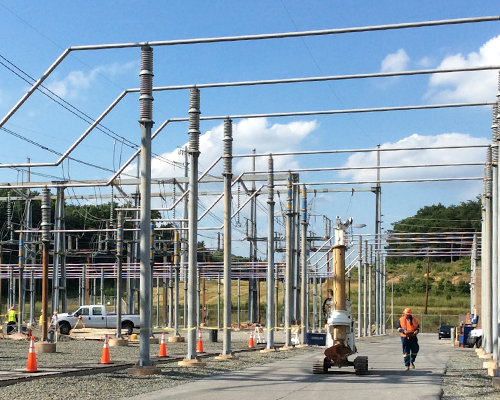 Specializing in drilled shaft foundations in earth and rock and the concrete for transmission lines, high mast light towers, elevator shafts, shoring systems, bridges and buildings. CJ Drilling has an elite team of foundation drillers with tremendous experience and the greatest reputation, capable of completing the most difficult of foundation projects. Our extensive fleet of drill rigs allows us to team up with you to drill in the smallest of spaces to the largest and most complex. CJ drilling is now featuring our new “Eddie” drill, capable of fitting through a standard doorway and drilling under 8 foot off clearance with over 25,000 lbs of torque. 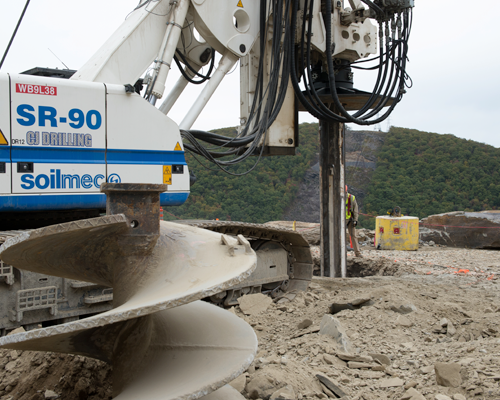 This drill is capable of drilling shafts up to 36 inches in diameter and is ideal for foundation stabilization. We are also featuring our “Mighty” drill. 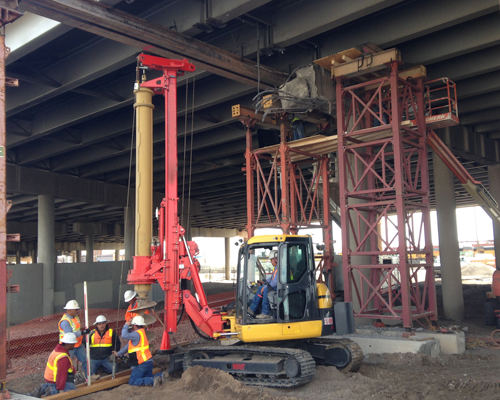 This small scale rig features nearly 30,000 lbs of torque and control shaft up to 48 inches in diameter 65 feet deep. 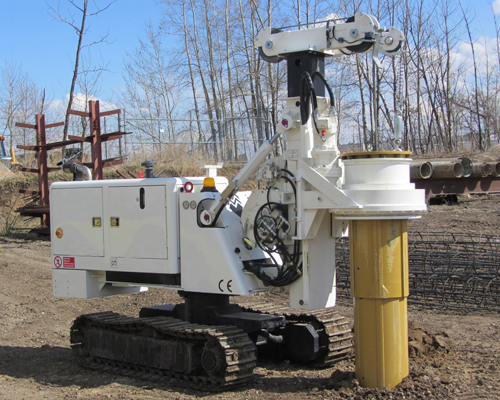 Because of its compact size and superior strength, this rig is ideal for projects in tight spaces with big drilling demands like substations, soldier piles, shoring systems and building foundation stabilization. Our full range of large scale rigs allows us to fit your project with the best solution for your challenging drilling projects, with virtually no limits. 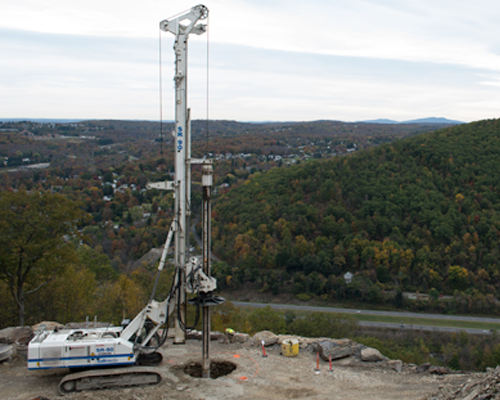 From our small rigs mentioned above to our 100 metric-ton-class drill, we are capable of drilling shafts up to 15 feet in diameter to over 100 feet deep in all soil conditions. Our experienced staff of drillers, engineers and industry experts have faced your most difficult challenges.